Universal Studios Hollywood is a film studio and theme park in the San Fernando Valley area of Los Angeles County, California. It was initially created to offer tours of the real Universal Studios sets and is the first of many full-fledged Universal Studios Theme Parks located across the world. If you’re planning a trip to Universal Studios in Hollywood, let Via Trailways help you get there! We want your trip to be as stress-free as possible so you can focus on having a relaxing and fun-filled time. 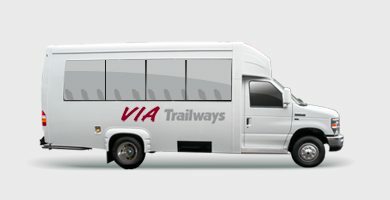 When travelling with Via you’ll be able to relax in one of our comfortable, secure charter buses after a long day of sightseeing and rides. Experience the magic inside The Wizarding World of Harry Potter. Take a ride on a river raft where you’ll see dinosaurs in their natural habitat during Jurassic Park – The Ride. Be a part of the live audience during a filming of EXTRA.